As a father, you experience things that leave a lasting impression when it comes to your offspring. The first time they score a goal in a soccer game, the first fish they catch and damn sure the first time they go deer hunting with you. But I’m not going to get all sappy on you guys. 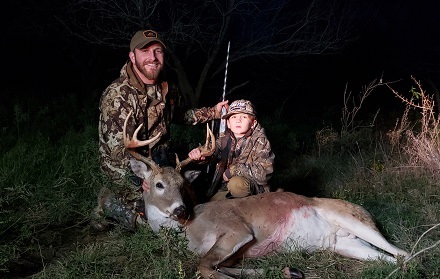 Rather, I figured we should experience through a young boy’s eyes and so I invited Henry to join the show this week to recount everything about his first time hunting big game with dad. (Our Clay County 9 pt I shot with him in the blind with me). 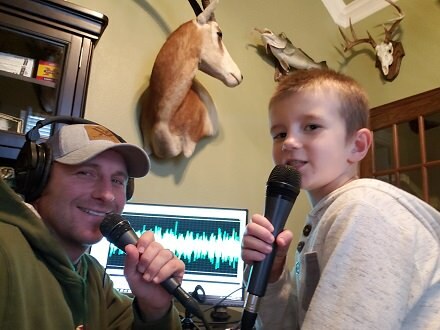 He was a bit nervous when I put the microphone in his face, but the warmed up pretty quickly once we started talking about hunting. I am not sure when he will be ready to pull the trigger himself, I hope maybe next season. Ultimately, however I will leave that decision up to him. 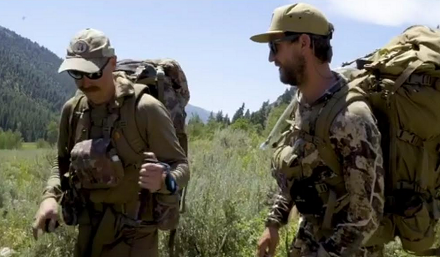 Then we spend a couple segments with a couple old friends from First Lite when Ryan Callahan and Tag Spenst jump on to discuss Tag’s Alaskan Dall Sheep hunt. You might recall we had Tag on the show prior to heading out for this once in a lifetime ram hunt, a hunt he won through a drawing at Sheep Show in Reno last year. Ryan provides some interesting prospective as he played an instrumental role in helping Tag get ready for this hunt. You might not be aware that prior to this Alaskan adventure, Tag had harvested a mallard hen, and that was it! Talk about baptism by fire. We discuss the training and preparation that goes into preparing a non hunter for a once in a lifetime opportunity. 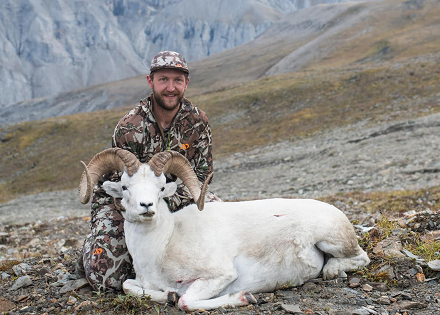 Tag gives us the details on how the hunt played out in Alaska’s famed Brooks Range. We also discuss gear, his First Lite kit he took, bear spray vs sidearms and much more. Good times and great conversation with a couple solid dudes.